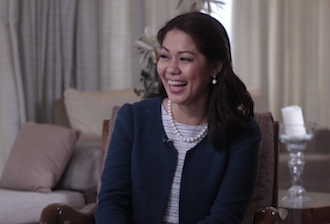 Empowered Filipina: Ms. Cathy Salimbangon of Organique Inc. 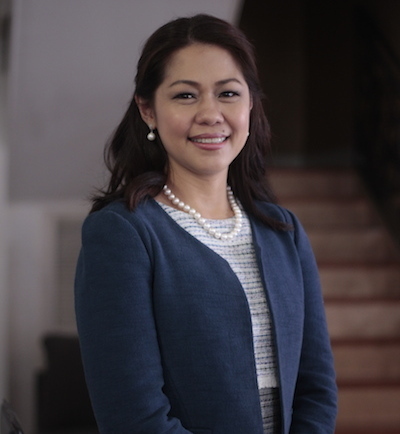 The chief executive of the global brand and nationally renowned Organique ACAI berry has her hands full in a typical work day, being hands on in the day-to-day operations of Organique Inc. and her name is Cathy Salimbangon! The beginnings were hardly a bed of roses. But the indefatigable spirit of the couple, Joseph Elton and Catherine Salimbangon to bring the wonderful news of wellness back home did not deter them from forging ahead, driven and full of optimism. Organique Acai Premium Blend is the brainchild of Joseph Elton, an IT expert and Cathy Salimbangon, an internationally accredited nurse, while they were based in the US. As they say, every problem has a solution, but having an excellent solution is best. The compassionate heart of Cathy goes out to the senior patients who are almost forced to take unpalatable supplements along with their medications. Often muttering that there must be another way to reinvigorate the health of the elderly without making them take the bitter pill each time. Good intentions are rewarded with inspiring discoveries. Cathy‘s eureka moment came when she herself, often feeling exhausted from the demands of her daily grind as a nurse was amazed at what she witnessed – elderly men and women, happily jogging. The daily stresses somehow took their toll on the health of the couple who worked very hard, while they were yet raising small children. They realized how ironical that they were not feeling healthy and yet, they were in the health industry. Another instance that clinched their resolve happened another time when she observed a patient was becoming active in the nursing home she managed. A timely discovery because her husband transitioned work into a different field, he became involved in the food supplement industry and amongst those that were produced, it was the acai berry that stood out, hands down, because of the purplish-black fruit’s superior and very high anti-oxidant content. The phenomenal discovery that led to the acai berry‘s introduction to the west caused uproar in the world of health and wellness. And so, in June 2009, ORGANIQUE Inc. was born. An all-Filipino company that commissioned itself to produce only world-class food supplement, the acai berries, harvested from the Amazon rainforests of Brazil. 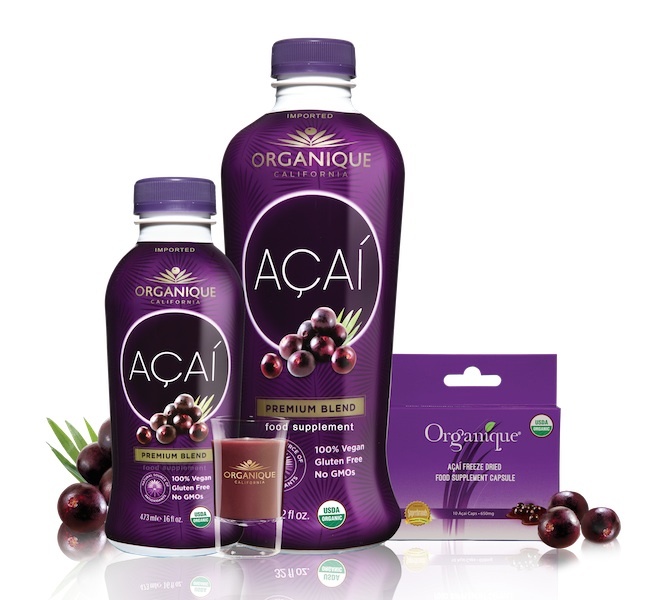 Touted by Dr. Oz, Dr. Mercola and Dr. Sears as a superfood, the acai berry has been proven to have the highest level of anti-oxidants through a series of research done and was in the ORAC Chart. Cathy and Elton didn’t see it merely as a business opportunity, but a means to help improve the health of many of our kababayans n the Philippines. Packing their bags in 2010, the couple returned to the Philippines to begin their painstaking task of introducing an awesome beverage – a purple-colored all-natural fruit juice with delicious chocolate berry taste and without any preservatives – that contains phytochemicals, powerful levels of antioxidants to boost a person’s sagging immune system and enable him/her to combat free radicals, toxins and other harmful viruses. As the foremost ambassador of Organique acai berry herself, Ms. Cathy Salimbangon firmly believes that health is wealth and this she wanted to share such to her fellow Filipinos. Wasting no time, she took it upon herself and started out initially through personal selling and online marketing, explaining tirelessly to every inquiry acai’s exceptional nutritional value. Cathy would later go to retail stores, doctors, wellness clinics to actively promote the manifold and superior health benefits of Organique Acai. It was opportune, too, as the government’s awareness efforts were becoming aggressive in making people understand the value of health and going back to basics, how neglecting or stubbornly abusing it will impact their lives and that of their love ones, eventually. In a matter of eight years, Organique Asia gained credible standing amongst its peers in business, and equally too, for its unique product a delicious-tasting Acai berry, now an indispensable health supplement staple for thousands upon thousands of Filipinos, of all ages, regardless of their health disposition. Sales steadily poured in and consequently grew via strategic media efforts which helped gain wider audience base for Organique Acai that resulted in a significant window in the retail market like Mercury Drug, S&R, Watson’s, Rustan’s, Robinsons Supermarket, and in major stores nationwide. Cathy thanks the valuable support of media partners who helped pave the way for Organique Acai Berry to reach more people in different parts of the country and learn more about Organique Acai‘s health benefits. Ms. Cathy Salimbangon thanked her media friends and supporters in a recent intimate ‘Thanksgiving Gathering‘ vis-a-vis post-birthday celebration a few weeks ago at Shang Salcedo Place in Makati City. The valuable involvement and like-minded health and wellness advocates, who know the importance and value of good health have been staunch believers and partners, after experiencing the delicious health-giving goodness of acai berry. Cathy thanks the stellar roster of ambassadors, Ms. Cory Quirino, wellness guru and radio/TV host, Ms. Tweetie de Leon, supermodel, actress and entrepreneur, Ms. Regine Tolentino, actress, fashion designer and dance-fitness coach/instructor and subject matter experts with integrity, Dr. Sonny Viloria, former Department of Health Undersecretary, broadcast anchor, alternative and natural health medicine expert, Dr. Sarah Barba-Cabodil, president of Anti-aging Medicine and Clinical Aesthetics Society who spoke the truth about the superfood Organique Acai. While there are more than 50 reasons and health benefits of drinking Organique Acai, it is not just a drink but a lifestyle that one embraces, a personal dictum of Cathy Salimbangon that she faithfully follows. Explore more about life and style from Blogger Manila through email subscription here. Like our Facebook Page, Twitter @BloggerManila, and on Instagram. Ms. Cathy Salimbangon has thus achieved what she envisioned – a healthier lifestyle for Filipinos, regardless of social status, and set out painstakingly to do it: put ORGANIQUE ACAI in homes to reap the true value of health for their love ones and themselves, the lovely Cebuana CEO has undoubtedly inspired women, empowered everyone to dare to dream. i drink organique acai, congrats ms.Cathy!